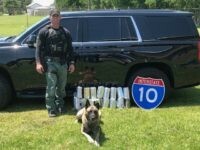 A Texas sheriff’s deputy seized nearly $3 million in methamphetamine following a routine traffic stop between San Antonio and Houston. 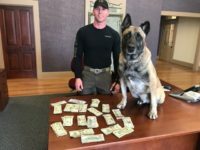 The deputy, and his K-9 partner, routinely make multi-million dollar drug seizures and find large quantities of cash proceeds from narcotics trafficking. 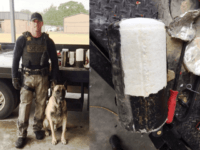 A Texas sheriff’s deputy and his K-9 partner busted two Mexican nationals allegedly transporting $6 million in methamphetamine hidden in the fuel tank of their vehicle. 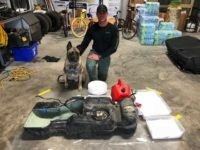 A Fayette County Sheriff’s Office deputy seized $8 million in liquid methamphetamine during a traffic stop in central Texas on Thursday. 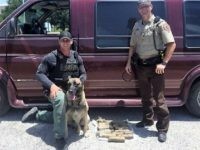 Sheriff Keith Korenek’s office seized nearly $20 million in drugs during traffic stops in the past two weeks. 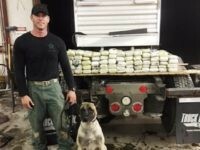 Two Texas sheriff’s deputies in central Texas seized more than $10 million in cocaine in two traffic stops on consecutive days. 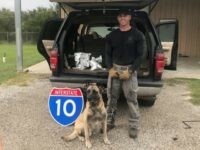 The drug interdiction team for Fayette County regularly find major drug shipments along the busy Interstate 10 corridor between Houston and San Antonio. 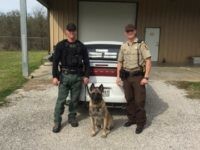 A Texas deputy sheriff discovered 5 kilos of cocaine hidden under the child safety seats of two small children during a traffic stop in Central Texas. 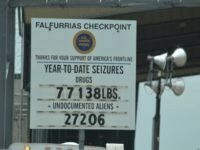 U.S. Border Patrol agents working in south Texas discovered $7 million-worth of methamphetamine being smuggled through a checkpoint. 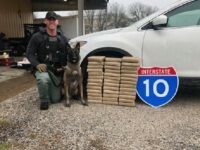 A Fayette County deputy sheriff and his K-9 partner made another major drug bust following a traffic stop along Interstate 10 in Texas. The $6.4 million drug seizure is the third major drug bust in less than one month for the duo. 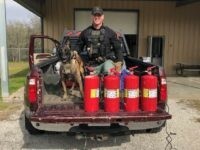 A Fayette County deputy sheriff who specialized in drug interdiction on a rural Texas interstate highway seized $1.3 million worth of methamphetamine on Tuesday. 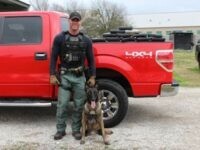 This follows a $1.6 million seizure made by the same deputy and his K-9 partner “Lobos” on July 12.